be quiet!, the market leader in PC power supplies in Germany for eleven consecutive years, announced its latest ATX case, the Pure Base 600 Window. 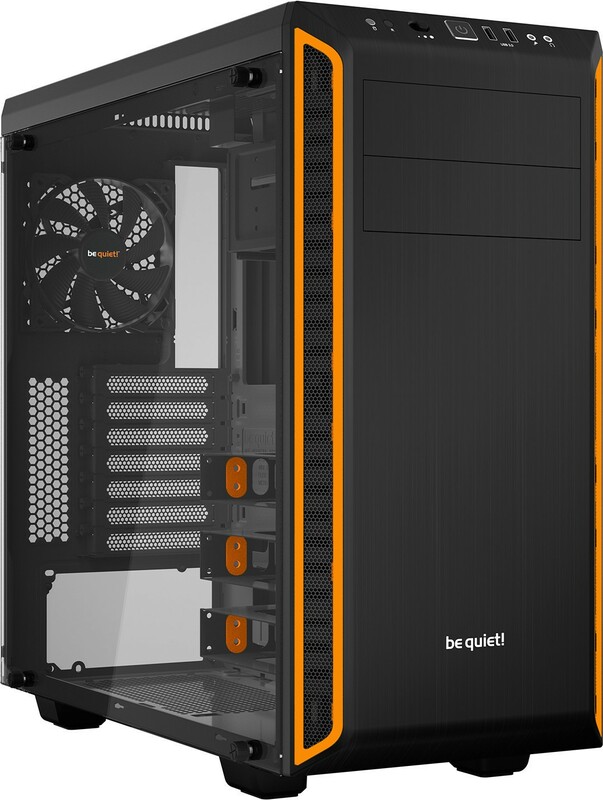 Meeting customer requests, be quiet!’s new all-rounder case includes a detachable tempered glass side panel and is available in an all-black design, as well as black with orange highlights. The stylish windowed side panel is also available separately for those who previously purchased a Pure Base 600 case and want to upgrade the case’s design. The 4mm thick, high-quality, tinted and tempered glass panel is decoupled from the case thanks to noise- and vibration-reducing rubber elements. 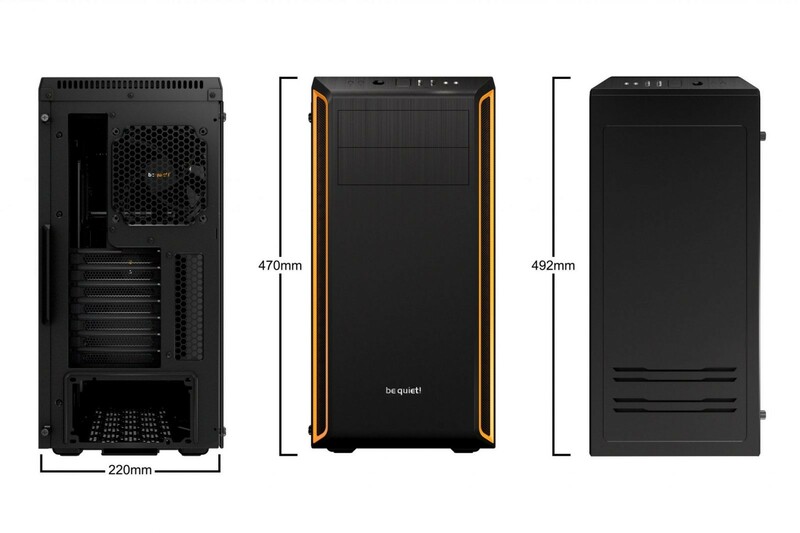 Pure Base 600’s fully-windowed side panel also provides a perfect view of the components inside a PC, significantly enhancing the system’s aesthetics. 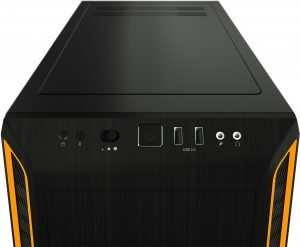 Pure Base 600 owners can acquire the tempered glass panel separately. be quiet! offers the Pure Base 600 Window either in full black or in black with orange highlights. 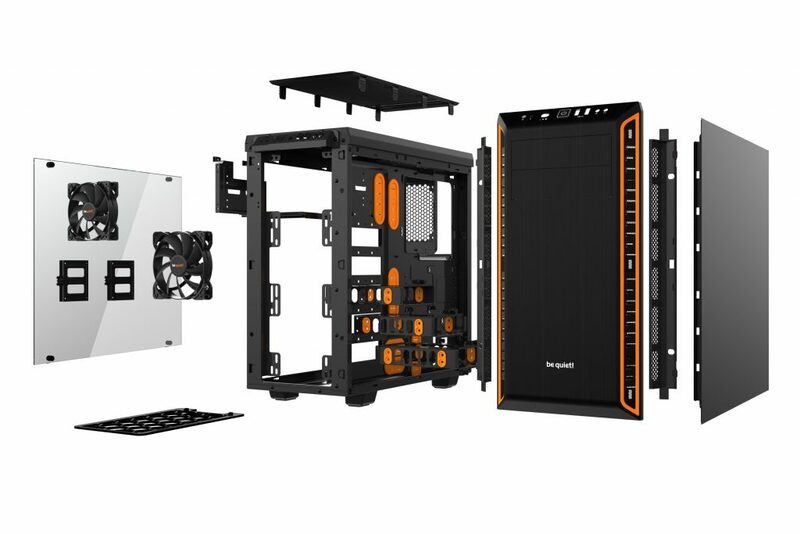 Additionally, Pure Base 600 Window uses rubber-grommeted cable pass-through holes, hiding cables behind the motherboard tray and providing a cleaner, aesthetically pleasing look. All core features from the Pure Base 600 Window’s predecessor remain untouched. 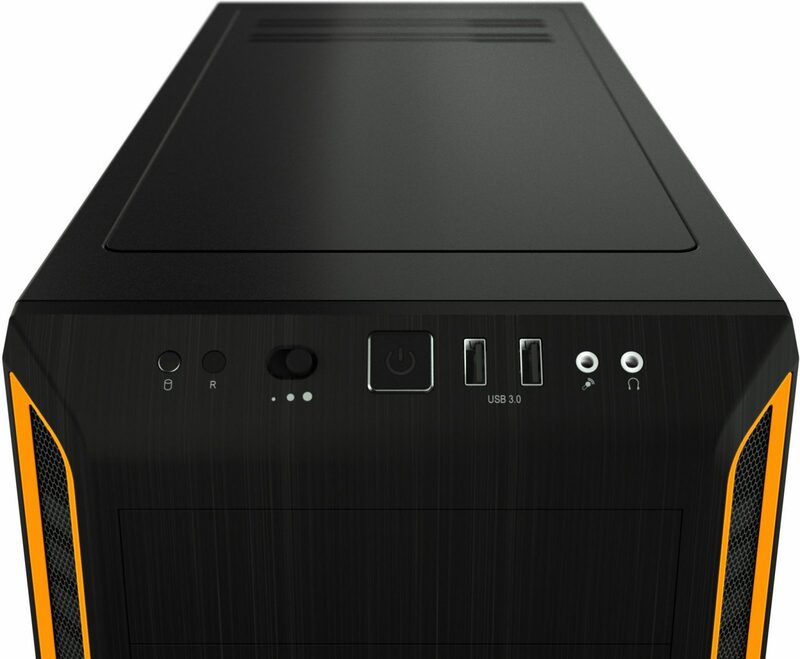 The case includes two preinstalled Pure Wings 2 fans for silent and efficient cooling. Quiet operations are enhanced by noise-dampening materials on the outer panels along with noise refracting air intake openings. 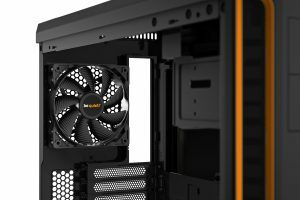 The case also includes a manual fan controller and modular drive cages that can be repositioned. A well-conceived notched ODD design allows the use one of the empty 5.25″ ODD slots with a radiator slotted in the front or top of the case. The Pure Base 600 Window’s top cover is removable, completely or partially, opening the case and helping manage airflow, providing a balance between cooling and noise. Available now, the Pure Base 600 Window Orange and Pure Base 600 Window Black is priced at €104 / $99 / £89.99 MSRP. The separate tempered glass panel is priced at €29.90 / $29.90 / £27.99 MSRP.